Robert Hunter needed a new website to reflect his new cd. He had heard about us from sites we had created for David Wilcox and Mark Erelli. 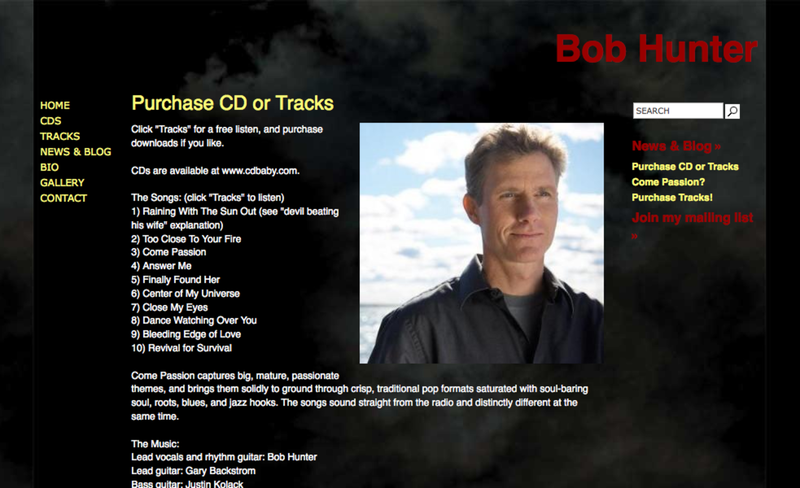 We were able to develop his site in time for the release of his cd -- while keeping the design based on the new cd's cover.